新疆彩票35选7 www.z1ezw.cn Xi Jinping, general secretary of the Communist Party of China (CPC) Central Committee, on Friday met a delegation of people from various sectors in Taiwan, led by former chairman of the Kuomintang (KMT) party Lien Chan. The pursuit of a just cause and people's common aspirations is unstoppable, said Xi during the meeting at the Great Hall of the People in Beijing. "We have the confidence and ability to keep a firm hold on the correct direction, work for the peaceful development of cross-Strait relations, and advance the process toward the peaceful reunification of China," Xi said. Xi called on compatriots on the two sides of the Taiwan Strait to work together to uphold the 1992 Consensus, which embodies the one-China principle, and to resolutely oppose and deter "Taiwan independence." He also called for joint efforts by both sides to expand and deepen cross-Strait exchange and cooperation in various fields, improve the kinship among compatriots and their wellbeing, and "jointly write the new chapter of the great rejuvenation of the Chinese nation." 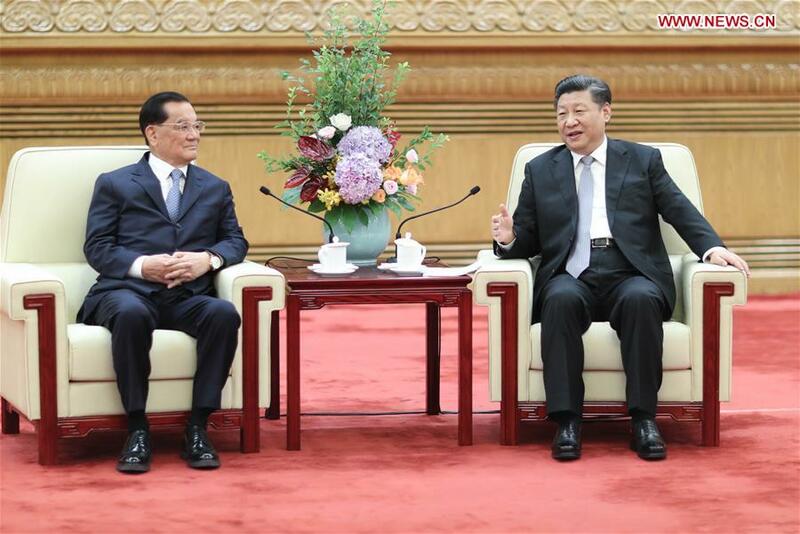 Xi Jinping, general secretary of the Communist Party of China (CPC) Central Committee, on Friday met a delegation of people from various sectors in Taiwan, led by former chairman of the Kuomintang (KMT) party Lien Chan.